Manitoba's leader in denture technology. Nearly 50 years ago, the Koster family set out to give Manitoba a more compassionate dental experience. The result of that mission is the Koster Denture Clinic, where we deliver modern denture care, but with several important differences. Our patients' well-being and comfort has always been the highest priority for the Koster family. Today, that vision of better, more compassionate denture care has grown to become a state-of-the-art, contemporary practice known for its personalized experience. Without question, you’re going to appreciate the peace-of-mind that affordable dental care and a welcoming smile provide. Andy began in the denturist field in 1996. He graduated from Denture technology at the Nova Scotia Community College in 2000 with honours. 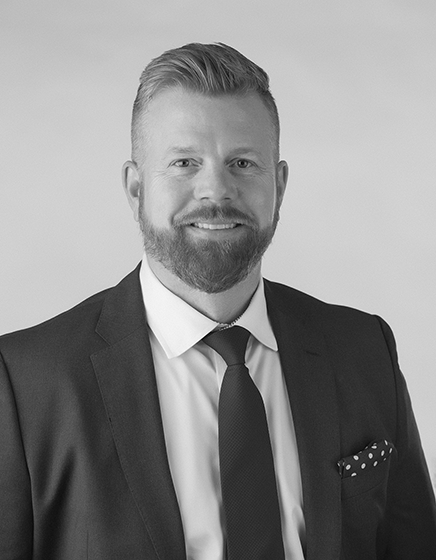 After graduation he started a 2 year internship at Grand Denture clinic in 2000 and enjoyed servicing his clientele in Steinbach until 2005. After that time he joined the Minuk Denture Clinic for nearly 12 years. In 2017 Andy decided to take over Koster Denture Clinic with his brother Jamie, which his father Tom has operated since 1970. Andy is excited about working with his brother Jamie (Dental Technician) and father Tom (Denturist). Andy has been trained in the Swiss Denture Concept that provides clients with the most natural looking dentures on the market, Andy also specializes in Avadent Digital Dentures, with specialized training and certification from their state-of-the-art facility in Scottsdale, Arizona. Andy maintains and continues to enhance his skills through participation in various post licensing seminars and training.